The current television dramatisation of Hilary Mantel’s novel ‘Wolf Hall’ has prompted the choice of this week’s book, a 14th century psalter, or book of psalms, which belonged to Katherine of Aragon before her divorce from Henry VIII in 1531. Katherine wrote her name on the flyleaf. 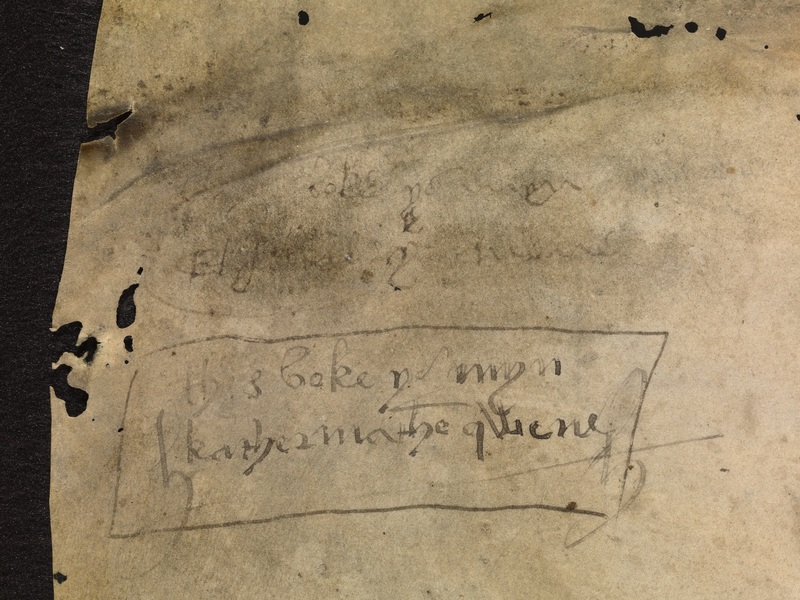 Before Katherine of Aragon, the book had belonged to her mother in law, Elizabeth the wife of Henry VII and her name can be seen faintly inscribed above that of Katherine. Thrillingly, on the first page of the psalter, half way down the right hand side, someone (perhaps Elizabeth) has written Nativitas Arthuri primogeneti Regis Henrici septimi, this being the only extant record of the date of birth of Prince Arthur, the elder brother of Henry VIII and the first husband of Katherine of Aragon. 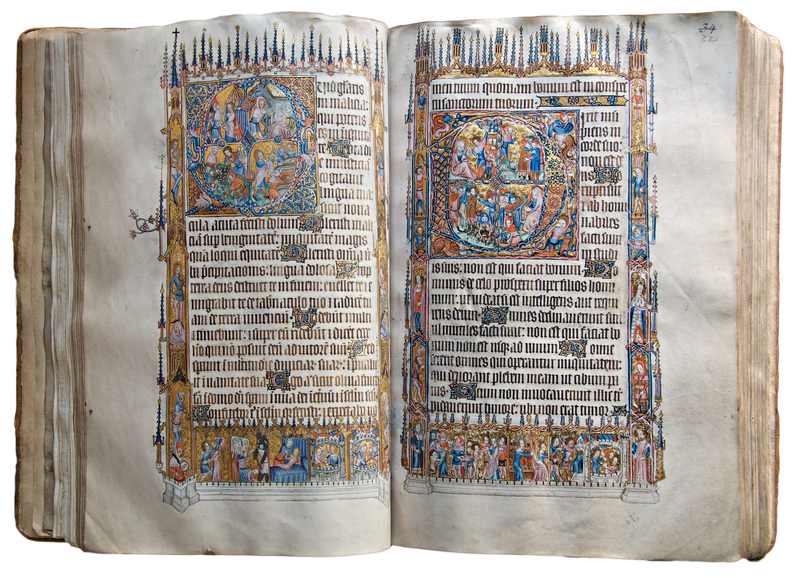 The psalter, known as the Bohun Psalter, is one of the greatest treasures owned by Exeter College. It was initially made for Humphrey de Bohun (1342-73), the grandson of Edward I, by monks on the Bohun lands at Pleshey in Essex and it is one of the finest examples of English illuminated manuscripts of the 14th century. 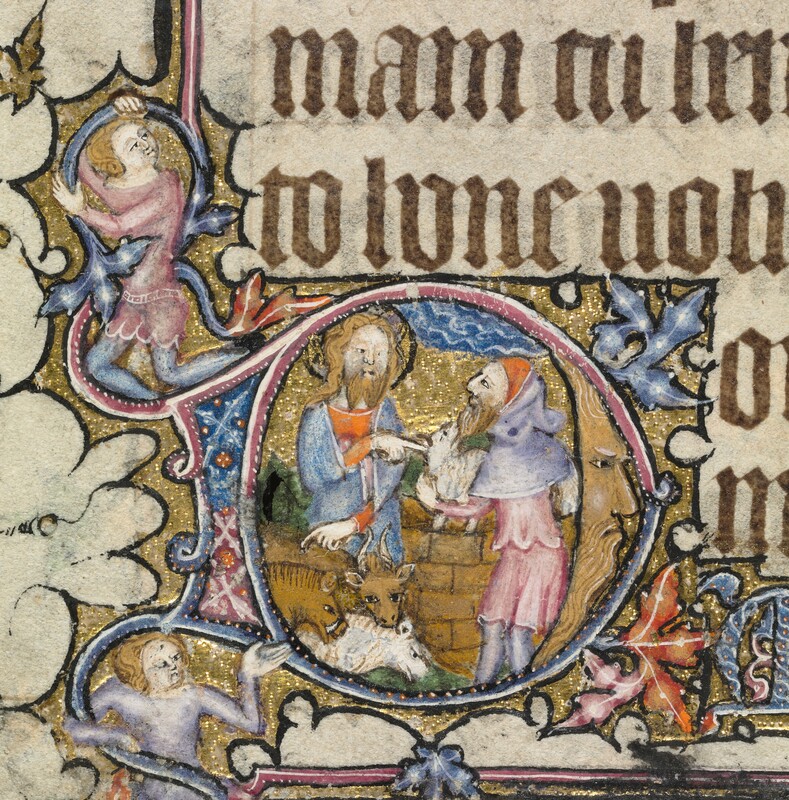 Still in its original binding of gold damask, the psalter has 125 parchment leaves decorated with calendar scenes and rich illuminations telling the Bible story. 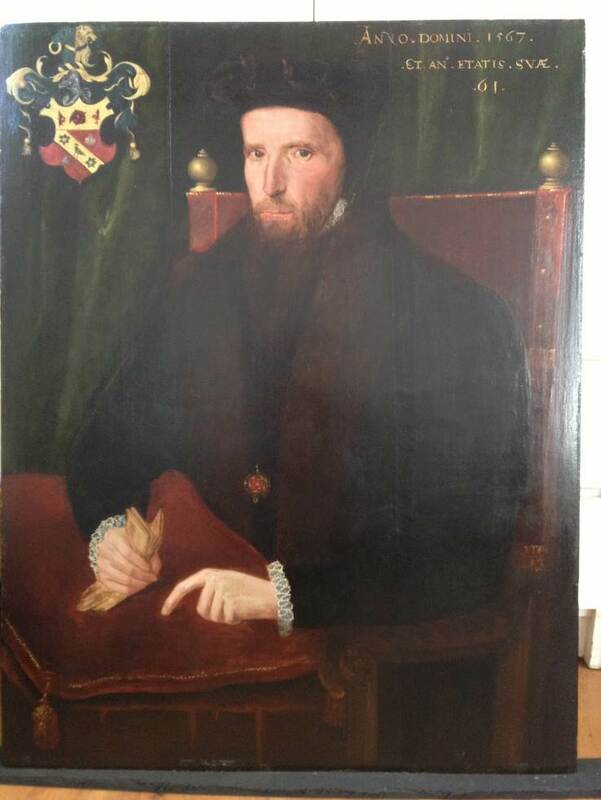 The manuscript was given to Exeter College by Sir William Petre (1505/6-1572) its great Tudor benefactor. The date of the gift is unrecorded but Petre probably presented it in 1567 when he gave a quantity of printed books to the college. At the treacherous and dangerous Tudor court Petre was a survivor. Administrator to Thomas Cromwell and, after Cromwell’s fall, public servant and administrator to Henry VIII, Petre became Secretary of State under the boy king Edward VI. He was later appointed to the same office by Mary Tudor, Edward’s successor, despite his having sworn allegiance to Lady Jane Grey three days after Edward’s death. Petre even helped to negotiate Mary’s marriage to Philip of Spain. After Mary’s death, Elizabeth I retained Petre as a councillor, and it was perhaps from Elizabeth that Petre acquired the Bohun Psalter. So enjoyed this and William Blake. It would be good to have the unique image of the birth of Prince Arthur in a subsequent article.